Experience the positive power of change with Bach Flower Essence 'Walnut'. Are you going through tremendous change in your life right now? Are you moving home, getting married or getting divorced, starting a new job or facing redundancy, changing careers, having a baby, going back to work after maternity leave, or any other type of major change? If so, 'walnut' is for you! Known as the 'link breaker', walnut offers protection when we find ourselves experiencing a major change, or several major changes, in our lives. If we are in a negative 'Walnut' state, we may wish to go forward but be held back, tied to the past by forces we may or may not recognise. This remedy helps us to break the bond with our past, so we can move on with our lives more easily. The vibration of 'walnut' acts to make transitions easier, so we can benefit from the experience, leaving our doubts behind us, allowing us to concentrate on new goals in the here and now. When external influences no longer hamper our true vision, life becomes more enjoyable! 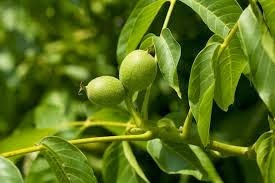 Walnut, because of its ability to break ties with the past and allow a person to go forward with confidence, can be used to help treat addictions. It is commonly used for treating nicotine addiction. It can also have a stabilising effect upon common body "adjustments" (made by chiropractors, oesteopaths, spiritual restructuring practitioners and so on) where chronic sufferers may need to have the same adjustments made time and again. Walnut can be safely used for helping our pets transition too; for example, when moving them to a new home/location, or when they are first separated from their mother and handed over to a new owner. For those who are new to taking these essences, they must not be taken neat - they need the vibration of water to 'unlock' their power. I find these 'vibrational' remedies are most effective after an SRT clearing (http://www.energytherapy.biz/spiritualresponsetherapy/), and frequently recommend them to clients to support their healing journey/process after a session. After an SRT clearing, the subconscious mind of the client is clear from much negative programming, and thus the client is more open to the subtle healing power that is to be found in each of the Bach Flower(s) recommended.